Even though they’ve been triumphant in the last two matches, against Roma and Frosinone, SPAL has a tough match ahead with Lazio coming to town. The team from Rome is fifth in the table, and only a win away from a Champions League placement. And they are a game behind fourth placed AC Milan. Furthermore, they have beaten Roma and Inter, and drawn against AC Milan in the last month. However, Lazio did crash out of the Europa League. 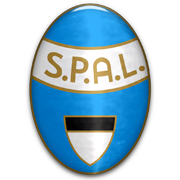 SPAL succeeded in moving away from the relegation zone with two wins in a row, but they will need at least to more to be safe from going down. A point against an in-form Lazio team would be another step towards safety. Being the third worst scoring team in the league does not bode well for them. But the visitors haven’t been prolific either on their travels managing less than a goal per game. Filippo Costa is a left-footed midfielder who plays for Italian team SPAL. Costa is a product of Chievo Verona football academy, but he made only six appearances in the league for the Mussi Volanti. The Italian footballer, who was born in Noventa Vicentina on May 21, 1995 spent the 2014/2015 season on loan at Pisa and he played for Bournemouth U21 team on loan in the past as well. In 2017 he signed a permanent deal with SPAL. Filippo Costa represented Italy at the U19 European Championship in Hungary in 2014, but he has yet to earn a call-up for the senior team. Filippo Costa’s main position is left midfield, but he is capable of playing as a left-back as well. The 175-cm-tall midfielder, who wears number 33 on his shirt, scored one goal, while providing five assists for his teammates in 15 appearances for SPAL in the 2016/2017 Serie B campaign. It is well known that the Biancazzurri secured promotion to the Italian top flight at the end of the season.